The first University of Washington honorary degree, a Doctor of Laws, was conferred in 1885 by the territorial university upon Orange Jacobs, who was the chief justice of the supreme court of the Territory of Washington from 1871-1875, a member of the 44th and 45th Congresses (1875-1879), and the mayor of Seattle (1880). In 1887 and 1888 the UW awarded honorary Doctor of Divinity degrees to three local ministers, Rev. D. J. Pierce (’87), Rev. John R. Thompson (’87), and Rev. William B. Lee (’88). In 1894 an honorary Doctor of Philosophy degree was conferred upon Frederic James Grant, who was the Editor-in-Chief of the Seattle Post-Intelligencer, a member of the first Washington State legislature, and an envoy to Bolivia under President Benjamin Harrison. Between 1894 and 2002, the University awarded only one honorary degree. On November 30, 1921, an honorary Doctor of Laws degree was conferred on French Marshal Ferdinand Foch, who was the supreme commander of the Allied armies during the final year of World War I. In 2002, the Faculty Senate passed legislation that specified procedures for resuming the practice of awarding honorary degrees, with the responsibility for recommending them vested in the Faculty Council on University Relations. Since then, fourteen honorary doctorate degrees have been awarded. In addition, a historic ceremony was held in 2008 to confer honorary Bachelor of Arts degrees upon 447 Japanese American students who were forced to leave the University during World War II. 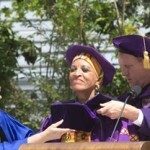 At the 142nd University of Washington Commencement Ceremony, on June 10, 2017, the honorary degree of Doctor of Humane Letters was conferred upon Johnnetta Betsch Cole anthropologist, educator, pioneer in African-American studies, and the first African-American female president of Spelman College. 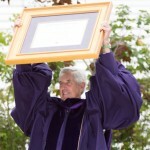 At the 141st University of Washington Commencement Ceremony, on June 11, 2016, the honorary degree of Doctor of Humane Letters was conferred upon Mark Charles Pigott, former CEO and current Executive Chairman of the Board of Directors of PACCAR. 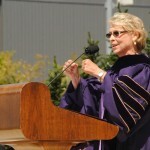 At the 140th University of Washington Commencement Ceremony, on June 13, 2015, the honorary degree of Doctor of Laws was conferred on the Honorable Christine O. Gregoire, former two-term governor and three-term attorney general of the state of Washington. 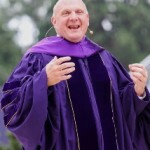 At the 139th University of Washington Commencement Ceremony, on June 14, 2014, the honorary degree of Doctor of Science was conferred on Steven Anthony Ballmer, former CEO of Microsoft. 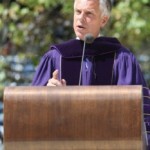 At the 138th University of Washington Commencement Ceremony, on June 15, 2013, the honorary degree of Doctor of Science was conferred on Jon Huntsman, Jr, former Ambassador to China and governor of Utah. 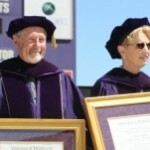 At the 135th University of Washington Commencement Ceremony, on June 12, 2010, the honorary degree of Doctor of Arts was conferred on Kent Stowell and Francia Russell, founding artistic directors of Pacific Northwest Ballet. 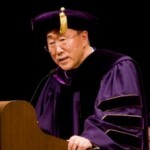 At a special University of Washington convocation, held on October 26, 2009, the honorary degree of Doctor of Laws was conferred on Ban Ki-moon, Secretary-General of the United Nations. 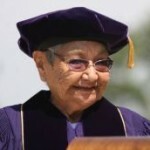 At the 134th University of Washington Commencement Ceremony, on June 13, 2009, the honorary degree of Doctor of Humane Letters was conferred on Yakima Nation tribal elder and linguist, Virginia Beavert.